Award-winning personalised HSC Economics tutoring. Struggling to structure and write essays for Economics? Confused by all the Economics terminology & concepts? Wanting to improve your Economics foundations or get ahead? 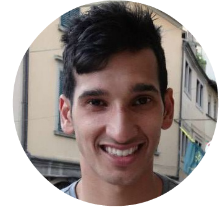 Looking for an incredible Economics tutor to support you? 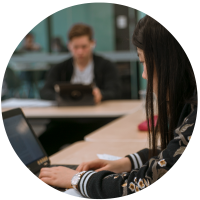 Our team of specialist HSC Economics tutors & mentors work with students in Year 11-12 at our campus in Hornsby or in your own home to identify your specific needs for HSC Economics to help you master Economics for your HSC! 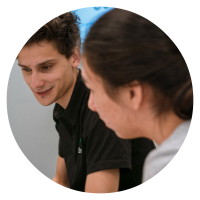 Whether it’s improving your Economics essay writing, short answer responses, or your conceptual understanding our expert HSC Economics tutoring team can help! Recognising that excelling in HSC Economics isn’t simply an equation of knowing the content for Economics, our team of HSC Economics tutors mentor and support you holistically! We teach you how to study for HSC Economics, how to structure your Economics study notes and help you create your personalised study plan to prepare for your HSC Economics assessments & exams! We’ve conducted research with the Top 2% of students in Australia who scored an ATAR of over 98 to identify recommendations and resources for excelling in HSC Economics! Our expert HSC Economics tutoring team draw upon this research in their sessions with you so you can be confident that we know exactly how to help you achieve your goals for HSC Economics at school! Rowan is the CEO of Art of Smart Education, has taught HSC Economics for over 10 years, and his students have placed 1st in NSW for HSC Economics. 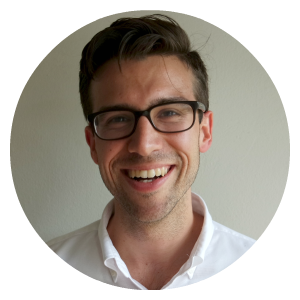 Over the last decade, Rowan has worked with over 10,000 students across Australia and he has conducted 10 years of research with the top 2% of students in Australia. Rowan is the author of the book, Secrets of HSC Success Revealed and his presentations and videos have been viewed over 1MN times on Youtube. Rowan also has a Bachelor of Arts/Law (Honours) from Sydney University and achieved an ATAR of 99.6 while playing soccer at an elite level for NSW. 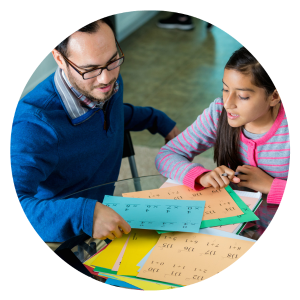 Whether it’s 1 on 1 in your home or our small classes at our campus, we personalise our HSC Economics tutoring to target areas you need help! We show you how to study for HSC Economics, write Economics study notes and help you develop a study plan for your HSC Economics assessments! Our passionate HSC Economics tutoring team have proven academic track records in making Economics simple and clear for students! We develop an individual learning plan for you for HSC Economics that’s tailored to your personal needs & goals so that you can excel in Economics! 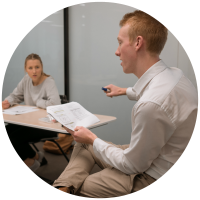 First and foremost, to be a great teacher and tutor you need to know your stuff, and that’s why our HSC Economics tutors and mentors are all academically successful, including qualified teachers to 98+ ATAR scorers and Economics State Rankers. This means our HSC Economics tutoring team has practical, in-depth and fresh knowledge about Economics and the HSC Economics syllabus so they can ensure you improve your results for Economics! While having strong academic credentials in Economics is important, it’s even more important to be able to communicate clearly – and that’s why our HSC Economics tutoring team are exceptional communicators, many coming from backgrounds in debating, public speaking and drama. As a result, not only is our HSC Economics tutoring team incredibly knowledgeable, they are communicators who take the complexities of Economics and provide clarity for students! We believe that great teachers go beyond teaching the syllabus for HSC Economics. They mentor, coach and inspire and as part of our holistic approach all our HSC Economics tutoring team provide mentoring to help you develop confidence, organise your time, powerful study habits for Economics and prepare effectively for your HSC Economics assessments and exams for school! As a result, our HSC Economics tutors are role models to guide you through the complexities of Economics for your HSC! 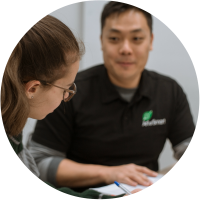 Our HSC Economics tutoring team have undergone state-based child protection screening checks to ensure they can work with young people so you can rest assured! 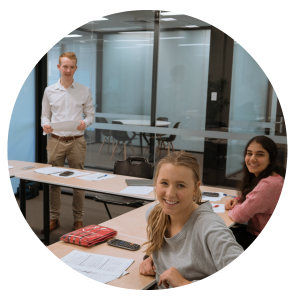 Our HSC Economics tutoring team get certified through our comprehensive training which equips them with the skills they need to deliver great quality Economics tutoring for you! 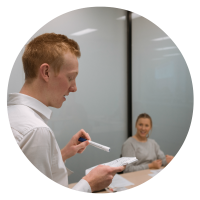 All of our HSC Economics tutoring team have at their fingertips thousands of comprehensive notes, practice questions and more to give you what you need for HSC Economics! Get in touch with us to find out how we can help you achieve your goals for HSC Economics! We support students for Year 11 and Year 12 HSC Economics. Get Started with HSC Economics Tutoring Today! Give our friendly team a call today on 1300 267 888 to book an HSC Economics tutor or class or follow the steps below! We’ll match you with the perfect HSC Economics tutor or class! We’ll book you in for your first HSC Economics Kickstarter session!